Veracity - Power Over Ethernet, IP Video Surveillance Storage, POE experts, Ethernet Extenders, EOC, Integrated Security Platform. 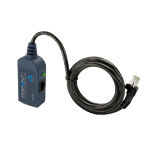 Veracity designs Power over Ethernet adaptors, IP video storage systems, integrated command + control systems, industry-leading IP transmission devices, POE, EOC adaptors + extenders and IP camera installation tools. We developed the world’s first storage system specifically designed for IP video surveillance data. Extend full-bandwidth Ethernet over 820 metres of regular network cable with no repeaters. Deliver the full 25 watts of POE Plus at 600 metres. Upgrade single twisted pair cable to IP. LONGSPAN Duo and LONGSPAN Quad models available. Show hours: 25 - 26 April 10AM – 6PM.